Shaun Murphy ended the remarkable run of David Lilley with a 4-2 victory to reach the semi-finals of the Indian Open in Hyderabad. Amateur Lilley was playing in the final stages of a ranking event for the first time in his career and beat the likes of Mark Williams and Robert Milkins to reach the last eight. But world number four Murphy finally ended his run to book a semi-final meeting with Anthony McGill. Murphy went 2-0 up with breaks of 70 and 50 before Lilley hit back to 2-2 with a top run of 87. But former World Champion Murphy saw out the last two frames with 66 and 89. McGill reached the semi-finals of a ranking event for the first time in his career by beating Stephen Maguire 4-1 in a Glasgow derby. From 1-1, McGill won the last three frames with a top break of 112. 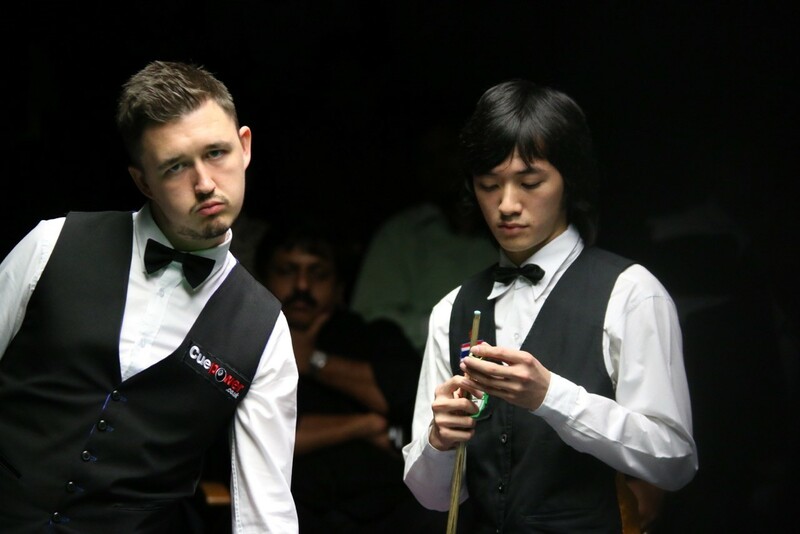 Kyren Wilson reached his third ranking event semi-final by beating Akani Songsermsawad 4-2. Kettering’s 24-year-old Wilson enjoyed a breakthrough season in 2015/16, winning the Shanghai Masters and jumping into the world’s top 16. The player nicknamed the Warrior is on the hunt for another title in Asia and he’ll now meet veteran Nigel Bond. Thailand’s Songsermsawad, playing in his first ranking event quarter-final, made a break of 71 in the second frame and took the third to lead 2-1, but Wilson compiled runs of 60 and 48 in winning the next two frames then he sealed victory in a tight sixth by potting the final pink and black. Former British Open winner and World Championship finalist Bond reached his first ranking semi-final since the 2002 Scottish Open by edging out Peter Ebdon 4-3. Derbyshire’s Bond is age 50, the same as Darren Morgan who got to the last four of the recent Riga Masters. The first four frames were shared then Ebdon won the fifth before Bond made a 52, the highest break of the match, in levelling at 3-3. The decider lasted 48 minutes and came down to the colours. Ebdon needed a snooker on the green but couldn’t get it and Bond potted green and brown for victory.